There’s a good chance that you have heard about paid search advertising. You may even have noticed PPC ads when searching for different topics on search engines like Google. Paid search ads appear on the search engine results page, and they help drive relevant traffic back to a business’ website. Whether you’re curious about paid search advertising or ready to get started with your first campaign, it’s important to understand what PPC ads are and how they help your business. Paid search advertising can help give you the advantage over your competitors while driving more qualified leads back to your site. Pay-per-click or PPC advertising is a type of advertising where businesses pay a fee for each time that a user clicks on an ad. There are many different platforms that offer PPC advertising, including Facebook. However, in this post, we are going to focus on the most popular form of PPC advertising – paid search advertising. Paid search advertising involves placing PPC ads on search engines like Google. With paid search ads, businesses bid on ad placement to appear as a sponsored link on the search engine results page. When search engine users search for relevant keywords related to the business, the PPC ad will appear at the top of the page in their search query. Here is what PPC ads look like from the search engine user’s point of view. Remember, every time that a visitor clicks on your ad, you are paying the search engine a small fee. When you set up your PPC ad campaigns effectively, you will find that this fee is minimal because the visit is often worth more than you are paying for a click. In other words, you pay a small fee for the click, but the money you stand to gain on a sale is much more significant. In the end, Google rewards advertisers who create relevant PPC ads that are strategically targeted to the right customers. The more relevant your ad campaigns, the less the search engine will charge you per click. The lower your cost-per-click, the more profit you will make from your PPC ad campaigns. That’s why it’s vital that small businesses are strategic about their ad campaigns and learn to manage these campaigns effectively. Here’s a breakdown of the different elements that Google PPC ads display to search engine users. Paid search advertising is a way to drive more traffic to your site through ads rather than organic content. Though it’s important to spend time on your organic SEO efforts, the truth is that SEO takes time to work its magic. While a PPC ad campaign on Google can help you drive immediate traffic to your page. There are a lot of different moving parts involved in creating and maintaining paid search advertising campaigns. However, well-organized and implemented campaigns can work wonders for small businesses. The more strategic you are about your PPC campaigns, the higher your potential return on investment. 1. PPC ads produce fast results. Organic search engine optimization efforts take time. No matter how optimized your content is for the search engines, you won’t start to see results right away. On the other hand, PPC ads bring immediate traffic to your site from the search engines. This makes paid search advertising a great complementary tactic to help support your SEO efforts. 2. Paid search ads help you generate more qualified leads. Another benefit of PPC ads is that they help small businesses bring in more leads to their website. More than that, the leads that are coming to your site from your PPC ads are more relevant. With PPC ads, you are strategically targeting the types of consumers who are most likely to be interested in your brand. This means that the traffic you drive to your site from these ads is more qualified. PPC ads play an important role in helping businesses generate more qualified leads. 3. PPC ads provide measurable results. Another benefit of paid search advertising is that it provides measurable results. You can clearly measure every aspect of your PPC ad campaigns including the number of clicks, the cost per click, and how many sales are coming from these clicks. This helps you make better use of your ad budget and find ways to improve your results over time. 4. Paid search advertising improves brand recognition. PPC ads on Google can also help your business improve brand awareness over time. Not every search engine user is going to click on your ad when it appears in the search engine results. However, the more often they search for related industry keywords, the more often they will be exposed to your brand name and site link. This helps improve brand recognition and may result in a later sale. 5. It’s great for local search. Many small businesses are targeting customers that are in close proximity to their location. The good news is that paid search advertising is a great way to target local traffic. When consumers use their mobile devices to search for stores nearby, they will see your PPC ads and be able to click on them for directions to your location. There is also a call option on mobile ads that allow the user to call your location right from the ad. 6. PPC ads are budget-friendly. Though it may seem counter-intuitive because you are paying per ad click, paid search advertising can actually be budget-friendly. This makes it an ideal tactic for small businesses that are working with a limited budget. Since you are able to target specific types of consumers and measure every aspect of your campaign along the way, there are plenty of ways to optimize your budget and boost ROI. You can set budget caps, and the search engines will not spend more than you tell them to. If you’re just getting started with paid search ads, it’s important that you familiarize yourself with the basics of how PPC ads work. Even if you decide to partner with a AdWords agency for PPC management services, you should still know the logistics of how these ads work for your business. There are many steps involved in the Pay Per Click ad process. We outline just a few below. The first thing you will need to do before creating PPC ad campaigns is to set up your Google AdWords account. Google makes this process fairly simple, but we’ll walk you through the steps here so that you know what to expect. You need to set up a Google AdWords account if you want to reach Google’s search engine users through paid ads. First, you’ll visit the Google AdWords site to set up your account. Google gives you the option to use an existing Gmail account or to set up a new account. If you are already using G-suite for your business email, then you should use this email address for your Google AdWords set-up. If not, you should create a Gmail account to use for setting up and managing your AdWords campaigns. Google AdWords will then ask you some questions about your account preferences like your time zone and currency. Once you have filled this out, you will be asked to set up your billing information. You have a couple of options on how you will be billed. This includes automatic payments or manual payments. Automatic payments will charge you after you start getting ad clicks, either once you meet your billing threshold or after 30 days. Manual payments allow you to pre-pay, and any charges are deducted from the pre-payment amount. You can set up billing to charge you on a credit card or through your business bank account. If you choose the bank account option, Google will ask you to verify your bank account. This can take a couple days, so if you are ready to get started immediately, you may want to use a business credit card instead. Much like SEO keyword research for your content marketing strategy, PPC keyword research can be complex and time-consuming. However, this research process is essential to creating effective PPC ad campaigns. You will need to do some initial keyword research to see which keyword opportunities exist for your paid ad campaigns. When conducting your initial PPC keyword research, you’ll want to create a list of keyword opportunities that will help you drive traffic back to your site. These keywords should be relevant to your brand and product or service offering. If the keywords are not relevant, then you won’t be driving the right types of leads to your website. The more targeted your keywords, the more likely you will be to get more clicks from highly qualified leads. As you put together your initial keyword list, you should make sure it includes long-tail keywords. Long-tail keywords are keywords that are highly specific and less commonly searched for. These types of keywords make up the majority of search engine traffic and are also less competitive than shorter, broader keyword phrases. Long-tail keywords help you drive more qualified traffic to your site for a lower cost. It’s important to note that it’s not enough to just do keyword research once. The most successful businesses are continuously adding to and refining their PPC keyword list. This is the only way that you will be able to discover new opportunities, including long-tail keywords and low-cost keyword opportunities that can help you drive more traffic back to your website. Once you have created a Google AdWords account and done some keyword research, you can start to create new PPC ad campaigns. However, it’s important to remember that paid search advertising is not something that you can set and forget. It takes ongoing management to ensure that your PPC ad campaigns are effective. Updating Keyword List – Over time, you will need to do further keyword research and add more relevant PPC keywords to your list. You’ll also need to add negative keywords to help improve relevancy and maximize your budget. Refining Landing Pages – Optimizing your PPC ad campaigns also involves refining your landing pages over time. You’ll need to modify both the content and calls-to-action to align with your PPC ads. Splitting Ad Groups – Splitting your ad groups into smaller, more relevant groups can help you improve your click-through rate or CTR. It can also improve your quality score, which helps improve your pay-per-click costs. Google Ads cost your business money every time a search engine user clicks on your ad. That’s why it is vital that you make sure that your PPC ad campaigns are effective. PPC ad management requires experience and knowledge that most small businesses don’t have on their in-house marketing team. That’s why many small businesses choose to partner with a PPC ad agency for help creating and managing their PPC ad campaigns. You don’t have time. One of the biggest challenges with PPC ad management is the time that it requires. If you want to develop effective and optimized campaigns, you need to spend time researching keywords, developing ad content, and staying up-to-date with the latest best practices in PPC management. If you don’t have the time to properly manage your campaigns, it may be time to hire an agency. Your team does not have the expertise. Paid search advertising requires knowledge and expertise to implement effective campaigns. If you don’t have a PPC expert on your team, then you will need to work with someone who has experience developing and implementing successful PPC campaigns. You are not getting the results you want. With so many moving pieces involved in PPC campaign management, it can be difficult to determine what’s holding you back from success. Working with an agency that can identify areas for improvement and make changes to improve your PPC campaign results enable you to get the campaign results you are hoping for. Your PPC ad budget is limited. When your business is working with a limited ad budget, it’s vital that you optimize your campaigns to get the best results. A PPC ad agency has a team of experts that know the right tricks and tactics to get you the best results. No matter how small your budget is, they can help you maximize it. Ultimately, a PPC ad agency can help you improve your AdWords ROI. With a team of experts at your service, you can make sure that your PPC ad campaigns are optimized. That way, you are getting the best results possible without wasting or misusing your advertising budget. What’s more is that outsourcing your PPC campaign management to an agency gives you one less digital marketing task to worry about. Paid search advertising can be a valuable digital marketing tactic for small businesses. It helps drive more traffic to your site from the search engines and helps ensure that this traffic is relevant. Though PPC ads do require an investment, when implemented correctly, these ad campaigns can offer small businesses an attractive return on investment over time. Due to the complex nature of paid search advertising, many small businesses choose to partner with a PPC ad agency that can help them set up and maintain their paid search ad campaigns. Though Google makes it easy to sign up for Google AdWords and start a campaign, you need experience with PPC ads if you want to optimize your ad budget. LYFE Marketing offers PPC ad management services that help you improve your visibility on the search engines. Our PPC experts know the ins and outs of paid search ads and focus on developing ad campaigns that drive conversions. 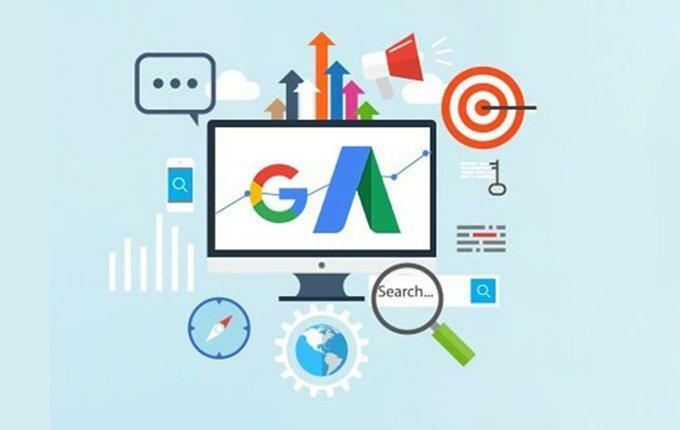 Visit our PPC Case Study page to learn more about how we helped three small businesses increase sales by over 457% through strategic Google Ad campaigns. If you’re ready to get started with your paid search advertising campaigns, contact us now for a free consultation.